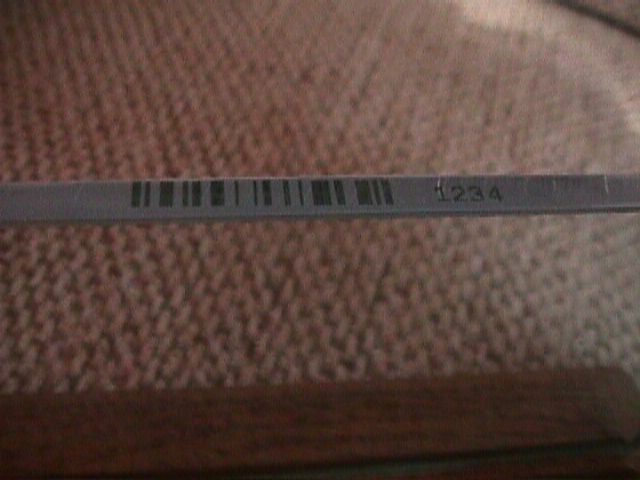 The following picture shows a piece of automotive glass which has been edge marked with a 4 digit Code 128C barcode. The white background has been pad applied and marked while drying using a low power CO2 laser. Total marking time was under 4 sec. The code is scannable using a standard scanner. (Ref DPI 1739 ). 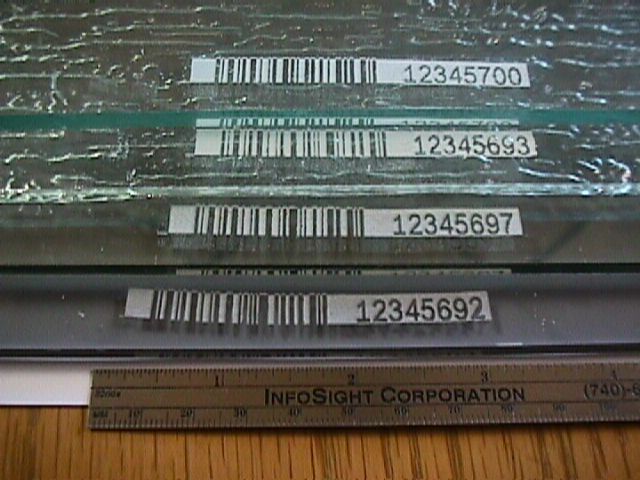 The following picture shows various pieces of glass with a bar code and associated man readable strings printed on the surface near one edge. The marking is accomplished by transferring the image from a laser patterned carrier ribbon. These samples were made by hand. In a production machine , the markings would be square and aligned to the edge . The marking material will survive tempering and will harden significantly after tempering.